Over the past year, I have been collaborating with SETBC, a Ministry of Education provincial resource program supporting classrooms throughout the province with technology support, professional development and training for staff and students! I have also been working with local school districts in finding ways to meet the needs and plan for diverse classes using evidence-based frameworks including Universal Design for Learning, Response to Intervention, Inquiry and more. It has been amazing to see how teams have taken these frameworks and made them their own. With SETBC and support from schools, I have been able to make this series online for everyone! 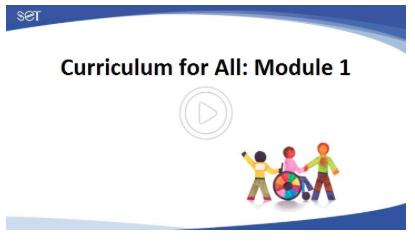 Curriculum for ALL is a self directed online course with individual self-paced modules designed to help schools and collaborative teams plan for and include all students into curricular classes regardless of age, subject, language, experience or cognitive ability. So if you are wondering about inclusive frameworks and design, but can’t get to a workshop, you can still be a part of the fun! The best part…IT’S FREE!!!! So find a friend, or join a team and take a peek. I would love your feedback and anecdotes about how you have used the resources and planning ideas in your school. Thanks for all of your hard work Shelley! It looks great! Can’t wait to take the course! It’s like you’ve birthed a baby! And it took just as much work!